Proud Washington D.C. native Malachi Byrd is a twenty one year-old junior at Princeton University. The captain and co-founder of ContraVerse, his high school slam team, Malachi led the team to the 2014 Louder Than a Bomb – DMV title. He also is a 2-time member of the DC Youth Poetry Slam Team, including the 2014 winners of the Brave New Voices International Poetry Festival. A rapper, poet, scholar, and activist, Malachi has won numerous awards and scholarships, and has performed on television (including two episodes of Lexus Verses and Flow), radio, at protests on the national mall, the Kennedy Center, the White House, and South Africa. 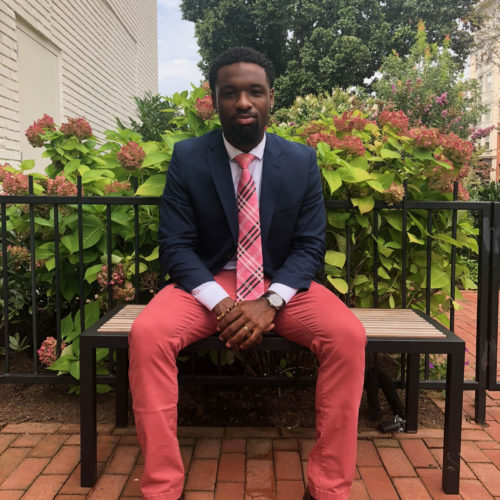 He is the self-proclaimed first Senator of Washington D.C., (Vote Byrd 2032) and will use his education to help tackle problems of inequality and inequity in urban environments. An African-American Studies major and Creative Writing minor, Malachi uses his poetry as introspection, self-discovery, self-critique, and activism. He never shies away from his Blackness and makes that evident in his second release of poems, Which Picture Would They Use? (2015). His first fully published book and mixtape, dually named Crowning Too Early (C.T.E. ), is currently available. Gabriela Orozco is a D.C. native and currently a sophomore at School Without Walls. She takes inspiration and pride from her heritage as a Jewish Latina daughter of immigrants; her mother is from South Africa and her father is from Nicaragua. Her poetry is inspired by reflections on her identity as well as improving herself and the world. Gabrielacelebrates living in Washington D.C. and is passionate about reading, writing, and social justice. Gabriela loves learning about politics, literature, history, traveling. She also loves reading and spending time with family and friends. She is honored to have been chosen as the 2019 DC Youth Poet Laureate and relishes the opportunity to grow as a writer, an activist, and an ambassador of poetry and writing, though Words Beats Life. She has performed in D.C. at Busboys and Poets, at School Without Walls and for the Youth Arts Advocacy Exchange. College Night Open Mic! A Busboys and Poetry Event Every third Friday of the month. For two hours audiences can expect a diverse chorus of college students voices and a vast array of spoken word performers, open mic rookies, musicians, comedians and other talents from freshmen to graduate students. Each month, we feature a different college/university or an individual alumni artist. A great alternative to the college night life! Audience is open to all, college students are encouraged to share their work!